Education will be significantly different in 30 years. Educators spend entire careers writing lesson plans and curricula to better prepare students for challenges they’ve yet to encounter. With the rapid advancement of technology, the nature of these challenges changes almost daily. The U.S. Department of Labor reports that 65 percent of grade-school students will end up in jobs that haven’t been invented yet. So, what exactly will the jobs of the future look like? And what must schools do to keep pace? 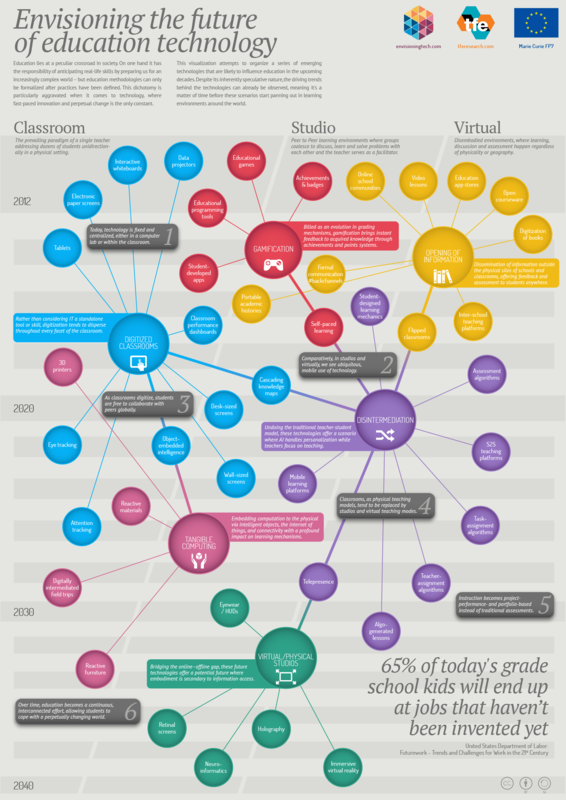 Edudemic recently posted this infographic from Envisioning Tech, which maps out 40 ways education and technology will change over the next 30 years. Check it out.